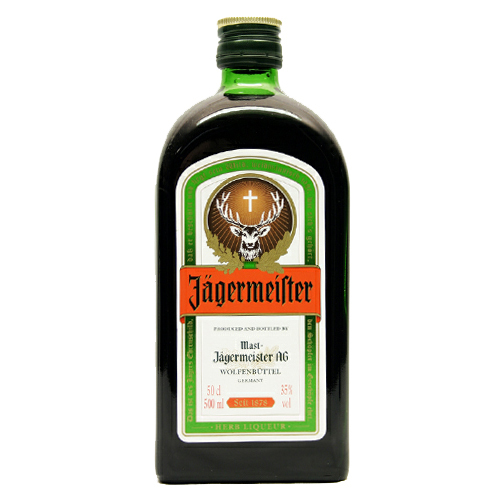 Jagermeister - Liqueur Jagermeister meaning hunt master is a German bitter liqueur. Dating from the seventh century it is made of a complex blend of 56 herbs fruits and spices and should be served icy cold. The label features a stags head with a cross because according to legend the drinks founder Hubertas upon losing his wife would go off into the woods alone to hunt and saw a magnificent stag with a floating cross between its antlers.